Have you ever ordered a cocktail and it had a really delicious cherry in it as garnish? Odds are, it was a brandied cherry or a Luxardo cherry. Luxardo cherries get their distinctive and delicious flavor from Luxardo Maraschino liqueur, plus some sugar and spices. 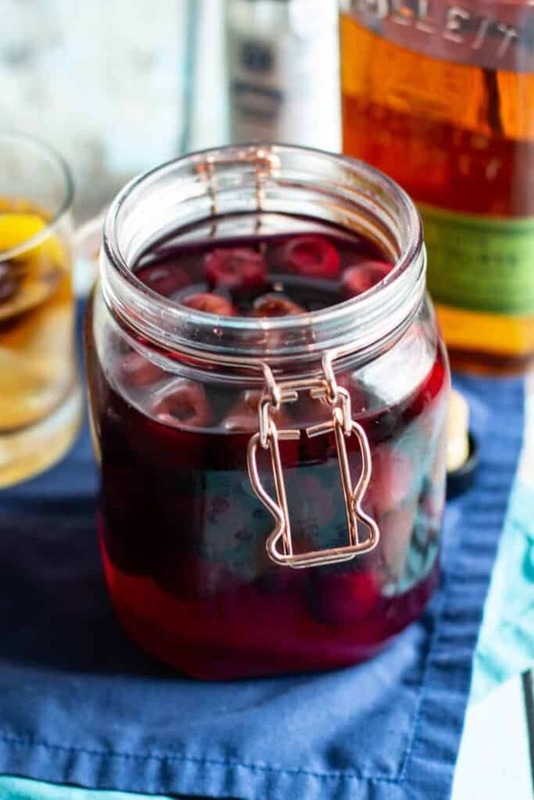 These Homemade Luxardo Cherries are the perfect addition to your home bar and to a cocktail. They are particularly good in an Old Fashioned (which I’ll share with you soon!). This recipe was adapted every so slightly from the one found at Love & Victory. Combine water, sugar, cinnamon, nutmeg, and salt in a saucepan, and bring it to a simmer. Stir occasionally as the sugar dissolves. Add the Luxardo Maraschino Liqueur and cherries. Stir to coat all of the cherries in the syrup. Cook for 5 minutes to soften the cherries slightly. Turn off the heat and allow the cherries to cool. Once cooled, store in the fridge in a tightly sealed jar. 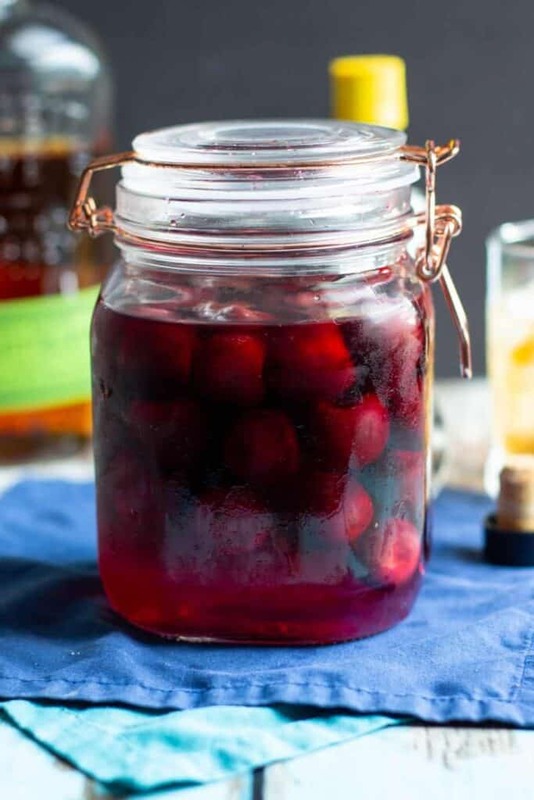 Drop one or two of these cherries into a Classic Old Fashioned cocktail! I am loving the look of these! And they have seriously got me wanting to whip up a batch of cocktails!! Thank you, Kelly! Imho, a batch of cocktails is never a bad thing. 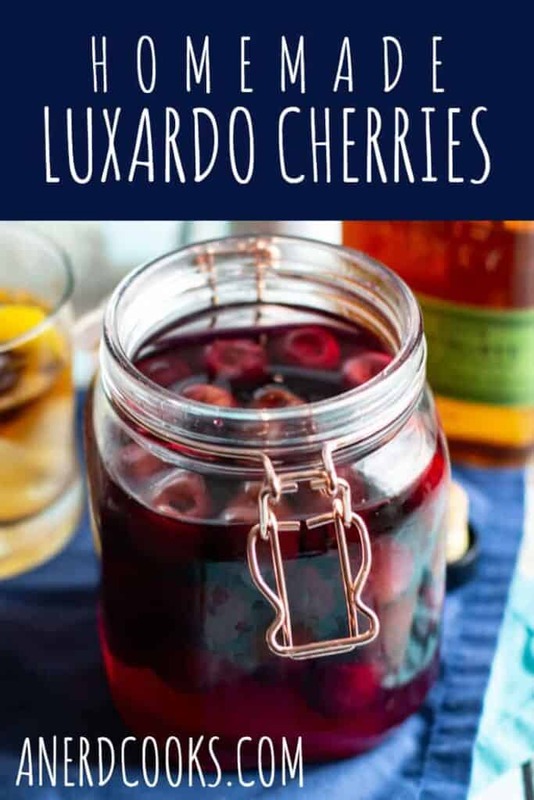 Ooh, I have never heard of luxardo cherries, but I am loving the sound of these in cocktails. What an elegant but not too complicated way to doll up a drink for entertaining! This is very interesting and quite similar to something we have in our country called: “Kompot” but without the alcohol though. Willing to try this recipe as it looks quite thirst-quenching! 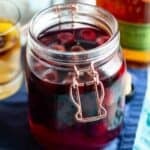 Until reading your comment, I had never heard of Kompot! It does sound similar. However, I wouldn’t recommend drinking the liquid from these cherries. The idea is that the liquid flavors them so that you can use the cherries are garnishes in cocktails.